It's no secret that in today's world plenty of people suffer from job-related stress. The unreasonable working hours, piles of projects and tedious everyday tasks can slowly start to take a toll on your health. 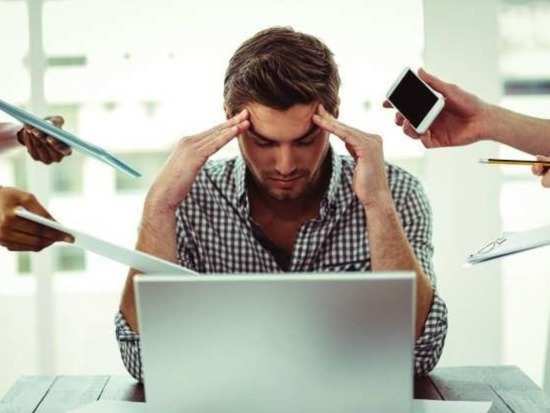 Researchers have now found that unreasonable amounts of job stress can be as bad for your health as smoking or lack of exercise and if that isn't alarming we don't know what is. Some amount of stress in your job is normal, but if it's starting to get out of hand, you need to ensure that you do the right thing to keep it at bay. First, you need to start by identifying what the stressors are in your job. The number one stressor recognised by researchers was working overtime. People who put in extra hours said they felt the worst. And this stress was equally felt by employees and their managers. It was proved that managers who put in fewer hours of work were a lot healthier than managers who worked long hours. In fact, most people who reported feeling stressed worked for over 11 hours a day. The researchers also said that the environment a person was working in could also contribute to the stress factor. So, if one works in a place that is prone to high noise, this person's stress levels can increase so much that they can have a heart attack. Also, people who traditionally work in high-stress fields tend to put their career over everything else. This is why they end up unable to manage their work life and can be prone to a lot of stress. Now, what can be done to counter these effects of stress? You need to devise a health plan for yourself. Start by ensuring you take care of yourself. If you need a day off to relax and give your brain a rest, take it. Try not to multitask as it can churn more effort causing you to feel more stress. If you have a desk job, don't just keep staring into your laptop. Look around for a while and take in your surroundings, give yourself tiny breaks. Speaking of breaks, try to head out for 10 minutes every few hours. A small break will do you really good. A few more things you can do is to maintain the way your desk looks. Avoid cluttering it so that you have neatness around you. Try not to work overtime as much as you can. The earlier you're out of the office, the better it will be. If you can find some time, it would also be good to meditate and workout. The fitter you are outside of work, the healthier you'll be while you're at work. And lastly, remember to get the appropriate amount of sleep. Well, try these things and see how well they work. 9Can retail therapy help people unleash their emotions?